One of the things I love about fall is all the scrumptious foods that accompany it. 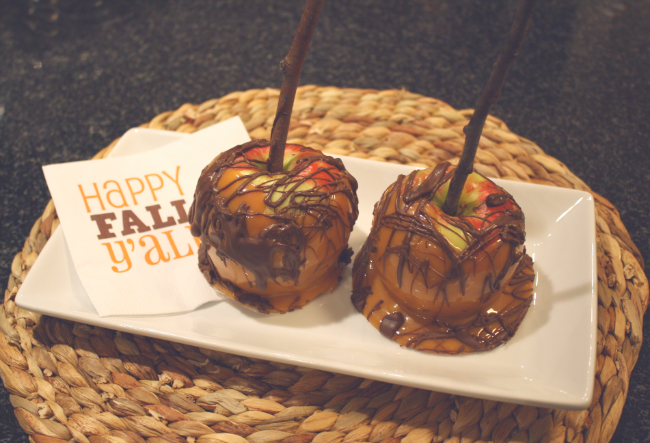 My favorite sweet treat, other than pumpkin cheesecake cupcakes of course, is delicious melt-in-your-mouth caramel apples. I'm not talking about that prepackaged nonsense you get at your local grocery store, NO! I'm talking about the freshly dipped (personally I like mine double dipped) honey crisp apple, where the caramel is still warm when you eat it. Growing up I would take trips to Gatlinburg, Tennessee. 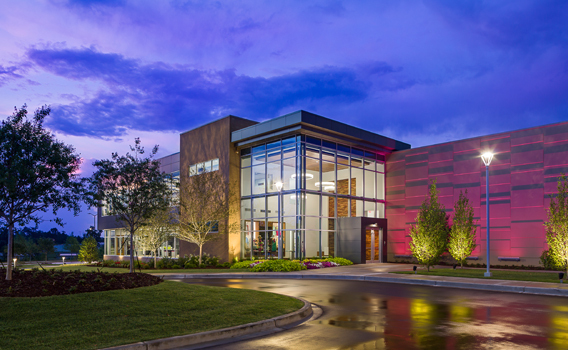 Think "Disneyland - meets biker city, in the heart of the Smoky Mountains." I wouldn't leave that town without a fresh caramel apple from one of the bake shops. As a kid, it was the highlight of my trip. 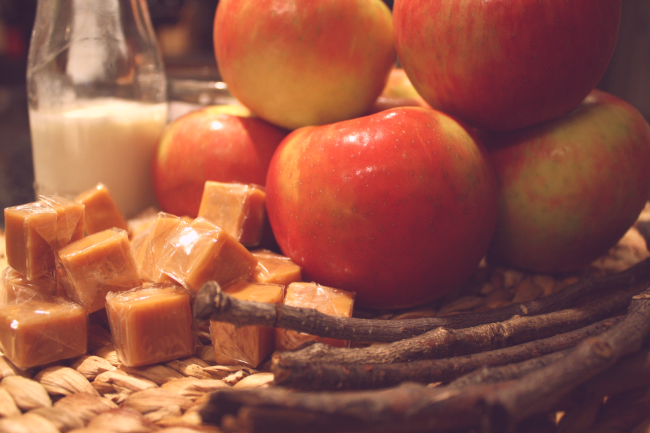 Since I currently live so far away from these sweet treats, I realized the only way I was going to get my caramel apple fix this fall was to make them myself. I decided to go the traditional route, but with a twist, adding some chocolate to the mix. I mean who doesn't love chocolate and caramel together?! Wash all of your apples, dry them and then set aside. For the sticks, you can either purchase candy sticks online or at your local craft store, or for a free version you can use sticks from your own backyard. If you choose to go the free route, I HIGHLY recommend washing them with soap and water. I mean you're only going to be using the stick to hold the apple, but it's better to make sure they're clean. 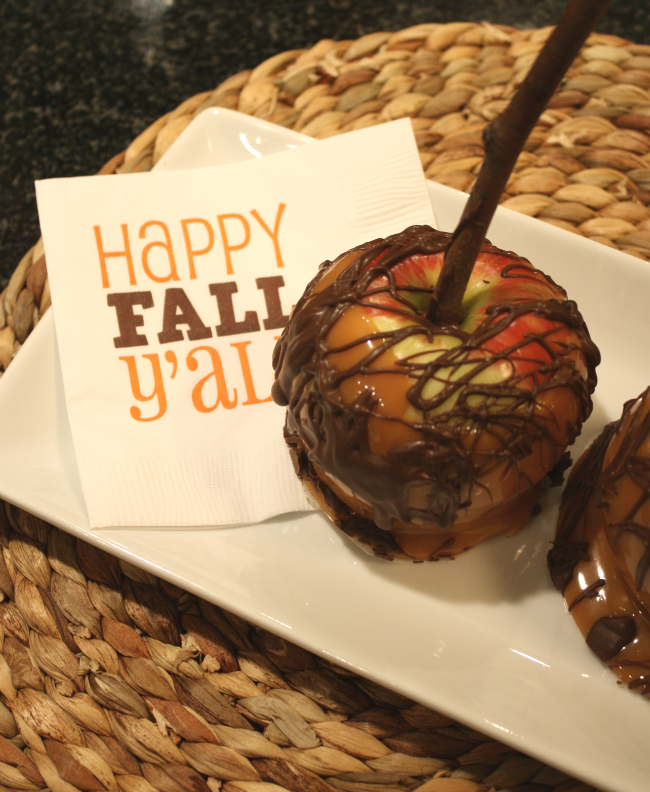 Real sticks also give your caramel apples an added touch! Make sure you have everything cleaned, sticks placed in the core of the apples, and ready to go. *You may need to use a skewer to start digging the hole in the core of the apple. Sometimes a stick isn't strong enough to get deep into the core. The caramel does NOT stay melted long, so you have to act quickly. Unwrap one bag of your caramels in a microwave appropriate dish (I recommend this one) and add a tablespoon of heavy whipping cream. The cream helps the caramel melt more evenly and stay thin, easy for dipping. Start melting in 30 second increments, stir and continue till mixture has a "soupy" texture. * It may look tempting to stick your finger in the delicious caramel and taste it, but DO NOT! I have warned you! If you want to burn your finger off, go ahead. Quickly dip your apples, coating as much of the pealing as possible and set down on non-stick aluminum foil to dry. Repeat the melting process with second bag, or until all apples are coated. Leftover melted caramel? Double dip them!! This is the one time double dipping is acceptable. Once the caramel apples are dry, you can begin to melt your chocolate using the same dish you used for the caramel (clean of course). Melting chocolate is WAY harder than it should be. It burns easily and can turn into a chunky mess. So I highly recommend baking chips. They melt better than regular chocolate chips at your grocery store. Melt about a cup of chips, starting in 30 second increments and stirring. 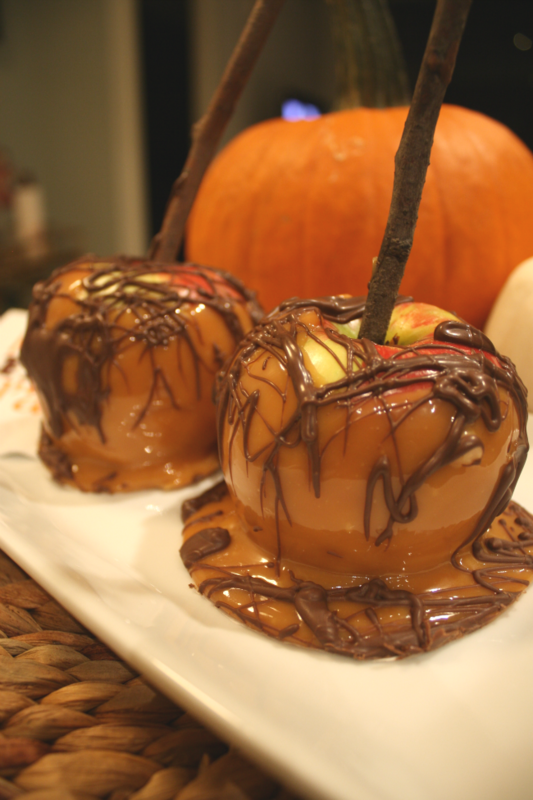 Once melted, take a spoon and drizzle the melted chocolate all over the caramel apples. Make sure to leave the apples on the foil till everything has dried. I'd say about an hour or more, to make sure the caramel has hardened. Plate your apples on a fun dish and serve. Happy Fall Y'all! There are a million and one ways to make caramel apples. Personally, I like to stick to the original recipe but add a little twist of my own. 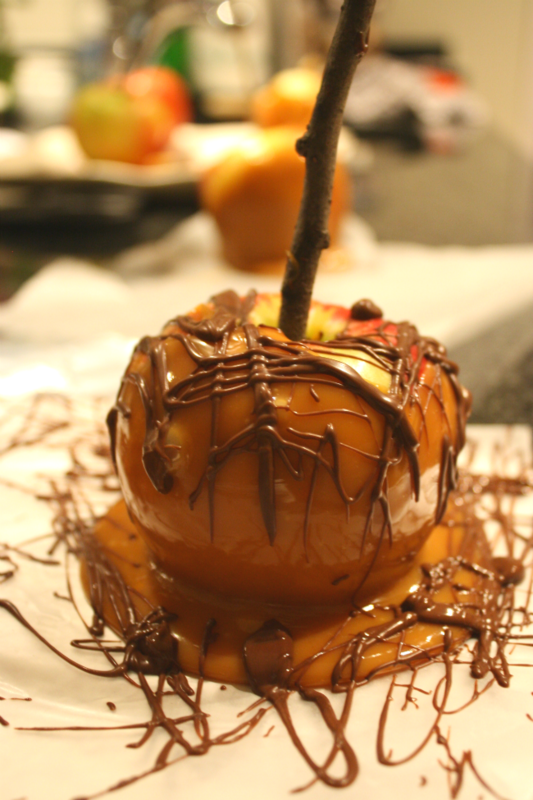 These chocolate swirled caramel apples will make a great impression on all your party guests!